Over the last few years, there’s been a strong emergence of biotechnology startup incubation centers, where academic expertise, fresh talent and VC money find common ground. Earlier, the Silicon Valley was hailed as the ground for startup clusters where fin-tech, edutech or big data startups were the norm. In contrast, 2012 to 2015 witnessed a steep surge in the founding of biotech startups in San Francisco and Boston where qualified researchers from the MIT, Harvard and other distinguished universities made the big leap. It’s common knowledge now that post-2010, more and more research scholars broke out from their laboratory confines and started translating their experimental prototypes into real-time devices. This culture, building fast among life science academicians, is providing biopharma with a glimmer of hope and therefore leads us to explore the attributes of these startups and understand their growth curve. While biotech startups are generously scattered all over the US, specific regions such as San Francisco, Boston, Denver and Chicago are the top cities where biopharma startups have been faring well. Among the chosen startups are the ones focusing on regenerative medicine, gene therapies and critical care illnesses. Also scaling the forward trajectories are some incoming bio-separation technology-startups and biomaterial-synthesis startups. Case in point: Lumen Biosciences, which is developing sustainable non-polluting alternatives to polymeric materials using microorganisms or plant isolates. So, while more academic researchers set out on their entrepreneurial journey or collaborate with industry-persons to actualize their decade-old innovation dreams, it seems only obvious that we find out what research-based startups are made up of. We’ve pored over some lists and testimonials to list down these soon-to-be unicorns that bred budding and experienced researchers, leapfrogged funding barriers and arrived at this juncture. Here are the Top 10 Biotech Startups that are making it big in the United States. One of Google Ventures’ funded biotech startups, Foundation Medicine is a genomics company that develops specific diagnostic modules for testing solid tumours as well as circulating tumours. The company was in the news recently for receiving FDA approval of Foundation One CDx. This is an accompanying diagnostic test kit that evaluates a patient’s tumour treatment for specific FDA approved therapies. Foundation One functions as a platform for designing the most effective therapy for organ cancers, blood cancers and severe life-threatening diseases. What comes as a big surprise is that Foundation Medicine went public in August 2013 only months after being founded. The company has key agreements with Roche Diagnostics, the COTA, Johnson and Johnson and Novartis. This is by far, the biggest biotech startup success story of the current times. A team of Genetic Engineering researchers came together to remove gene-mediated illnesses and instil new hope in the field of genomic medicine, which later came to form the core team at Editas Medicine. CRISPR pioneers Feng Zhang, George Church and Jennifer Doudna are the leaders of translational research today and with Editas Medicine successfully raising VC funding, they are surely going to lead the list of America’s top biotech startups in the forthcoming years. This full-blown genomic therapeutics company is on every tech expert’s radar as it publishes new insights of genetically controlled diseases and establishes new pathways to treat them. Editas Medicine is one of the most promising biotech startups at Cambridge, Massachusetts that started only in Feb 2016. Founded in 2014, Intellia Therapeutics is another genome editing company that focuses on treatments of life-threatening infectious diseases, gene-mediated toxicities and chronic diseases of liver, intestines, pancreas and other glandular organs. It has various undergoing projects using the CRISPR/Cas system and is also developing drug carrier systems for delivering novel treatment constructs such as CAR T cells into the bloodstream. Several of Intellia’s projects are long-term collaborations with other prestigious research centres, such as Novartis Institutes for Biomedical Research. Intellia is growing both in terms of people size of the company as well as in terms of research areas with new dimensions like Central Nervous System and Sensory Inefficiencies added recently. The highlight from Intellia’s core team is definitely the latest designation of Dr John Leonard as its President and CEO after its founding President Nessen Birmingham, Ph D., retired. As an Abbott and AbbVie veteran, Leonard surely brings with him a plethora of life science research experiences which may transform the company’s growth story. Led by Stephane Bancel as CEO, Moderna Therapeutics is a clinical-stage biotechnology startup focussing on therapeutic mRNA. The researchers at Moderna are working to deliver specific mRNA strands into the body that help to form proteins that attack tumour cells. Moderna just released reports recently on its successful implantation of a personalized cancer vaccine for a patient in Nashville, Tennessee. It also gained attention recently with its release of preclinical results in mice with a rare liver disease, Methylmalonic Acidemia, which involves improper organic acid metabolism. Moderna is one of the richly funded biotech startups based in Cambridge, Massachusetts that raised $1.9 Billion in Series A funding. Not to forget Moderna’s partnering with Astra Zeneca in 2013 and its transformative efforts on the Zika Vaccine, Moderna is one of those biotech startups that is still focussed on scientific advancements more than anticipated revenue. The company is shaping up its mRNA based vaccine products for human clinical trials in 2018, which is remarkable since its founding in 2010. A plant biotechnology company making waves of innovation with Cyanobacteria and Algae, Lumen Bioscience has created a niche for itself by developing sustainable biomaterials for clinical applications. It is not more than a year old and has raised Series A funds of $11.2 million and a $1.2 million grant from the US Department of Energy. This comes just in time for its first product launch in early 2018, during which the company is about to launch biodegradable alternatives to polymers used for clinical research. The company, based out of Seattle, has made a mark in synthetic biology by utilizing Spirulina – an alga species approved by the FDA for use in food colouring and cosmetics. This innovative research development is set to soar owing to its wide applicability along with negligible competition in the same domain. This biotech startup is one of a kind, aiming to tackle type 1 diabetes using novel stem cell technologies. Semma Therapeutics came around with reports of step-wise successes in applying stem cells that develop into beta cells in the pancreas known for their vital function – Production of Insulin. More than becoming one of the most promising biotech startups, the company made news recently with the fresh rounds of Series B funding raised from Eight Roads Ventures and Cowen Healthcare Investments. What is unmissable here is, the company’s impressive line of existing investors such as Medtronic, F-Prime Capital Partners, Novartis, MPM Capital and ARCH Venture Partners. Semma Therapeutics was founded by Doug Melton, PhD, in 2014 and is currently helmed by Elizabeth Stoner, MD who have decades of expertise in clinical development processes and regenerative medicine. Doug Melton is one of the nationwide leaders in regenerative medicine and also the founder of another Biotech major, Gilead Biosciences. Another feather in the cap for Semma T is its ongoing funding from the prizeworthy JRDF T1D fund since its inception in 2014. A genomics company founded in 2012, 10X Genomics is working on next-generation sequencing approaches to developing whole genome, exome and single cell genome analysis kits. Not a typical biotechnology laboratory research company at heart, 10X Genomics combines expertise in molecular biology, computer programming and data sciences into its dynamic workforce. Founded by researchers, Ben Hindson, Serge Saxonov and Kevin Ness who worked at Quantalife previously, the company raised $110 million between 2013 and 2015. The latest development from the genomics company is its partnering with Intermountain Precision Genomics, which takes the company closer towards translational medicine and the ability to churn out precision-based personalized diagnostic kits after harnessing premium revenue from GemCode and the recently launched Chromium. A revolutionary team of clinical researchers combined with decades of exposure in clinical trials, drug development and positive health outcomes makes the base at SFA Therapeutics. The biopharma startup, helmed by Dr Ira Spector, was founded in 2014 and has already filed for multiple patents for a liver cancer prevention drug, autoimmune prevention drug and combination therapy drugs for psoriasis and skin diseases. SFA’s current portfolio is not just impressive for its treatment technology and scope of research but also remarkable for its high technology development growth rate. The team at SFA Therapeutics is a good blend of industry and academic expertise, with stalwarts such as Sandra Stoneman (ex-FDA) heading the Regulatory Affairs division. 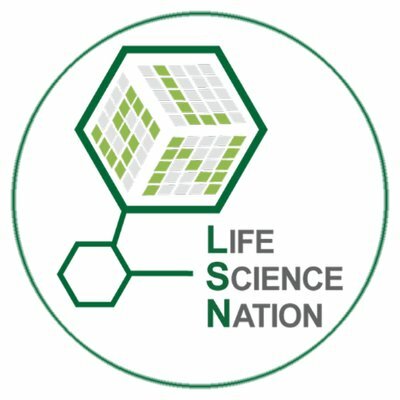 LSN is a forum where professionals involved in Med-Tech, Health Care Management, Biotech Product Discovery, Diagnostics Researchers and Investors meet and discuss new ideas in Biotechnology. The company positions itself as a digital health facilitator that takes care of innovation needs for budding life science entrepreneurs. It started in 2012 and gained prominence among prolific academic experts and industry leaders through its consistently impactful RESI Conferences. RESI Conferences are organised by Life Science Nation across the country with the objective of “redefining” early-stage investments to life science startups through insightful discussions. The forum also functions as a business consulting firm for the life science industry and handles funding and investor challenges through the Boston Investment Capital. The company that spun out of the prestigious Fred Hutchinson Cancer Research Center by Mark Roth is one of the most pioneering biotech startups in Seattle. While it is safe to say that Faraday Pharma has had a decent run in the US market, its successful clinical trials with heavy salts look more promising for the future. This company has taken the long harsh roads to establish the utility of components like iodide, lead and their derivatives in treating massive brain and joint injuries. It’s also noteworthy to mention that Mark Roth had earlier founded Ikaria, another biotech startup focussing on heavy salts in treating systemic injuries. Post his exit from Ikaria, he concentrated his research efforts to ensure Faraday’s research successes without hindrances from external funders or investor moguls. The most recent reports of Faraday Pharma points to the company’s successful results of a Phase-I Double-blind Randomised Clinical Trial for its Lead compound “FDY-5301”. The current generation of doctorate researchers is a tad different from its erstwhile counterparts of the 90s. Scholars could be spending their nights in the research lab now but they’re looking forward to building a startup on their own after securing their degrees. This positive shift, largely attributed to the number of life science and research startups, has spawned up just in the past 3 years or so. And the road has been quite uphill for the growth of these biotech startups. Investors seem to be looking for more number of rising biotech startup ventures to cash themselves in. 2018 is fast approaching, will it be big for startups or would it go down as a lull year for life sciences startups? 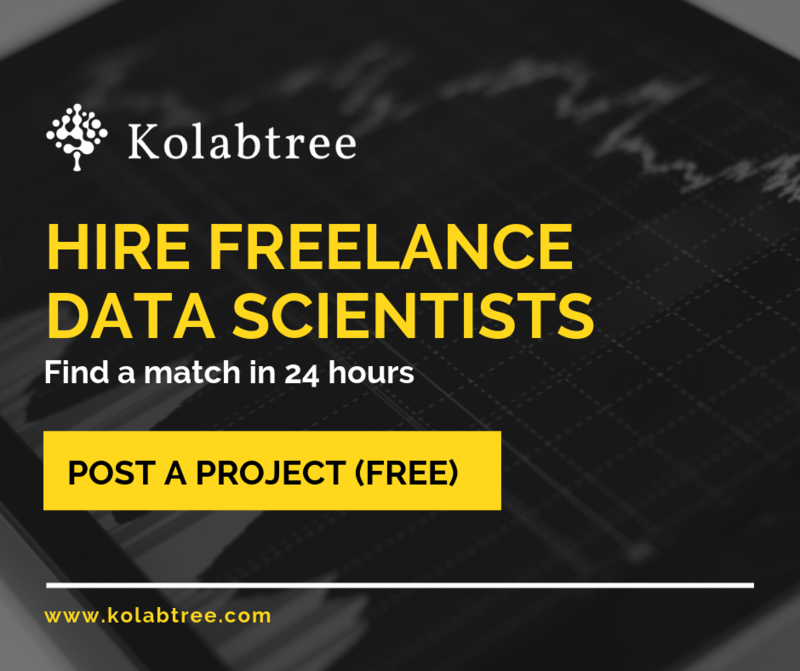 Kolabtree connects businesses to highly-qualified freelance scientists from the likes of MIT, Oxford, Stanford, Cambridge, and more. Get in touch with a biotechnologist for help taking your startup forward.